I love January. My Christmas stuff is put away. I love putting away Christmas as much as I love getting it out. It’s a time to clean, regroup, and organize. I’m not crazy about resolutions, but I generally think of one thing that I really want to stick to. This year I am doing a gratitude journal. I’m writing down 3 things every night that I am thankful for. Things at my house are a bit out of place and writing down the good helps me to put things into perspective. It also will become a mini journal. I’m sure I’ll celebrate and express gratitude for carpet when it comes, mice when they don’t, and that coveted kitchen sink that I dream of. 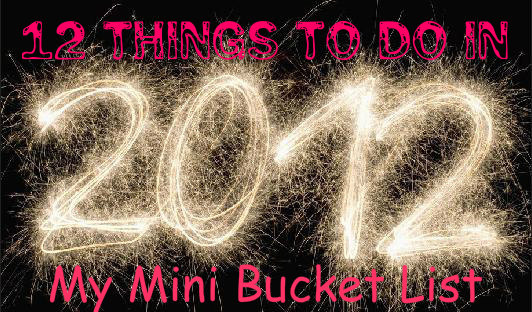 I’ve also decided on a “mini bucket list” of sorts for this year. I decided on 3 fun, 3 food/garden, 3 personal, and 3 blog goals for the year. Here it is! 1. Visit at least one “new to me” National Park. I’m hoping for more, but one is a good goal! Arches, Yellow Stone and Mesa Verde are all in my sights! 2. Bike to and picnic at “the river.” There is a bike trail that follows the highway (and a river) near our home. We have driven past that trail and river for years and always commented on how fun it looks. Now we live super close to it! This summer I will pack the babies and a picnic in my bike trailer and go play in the water. 3. Boil an egg in the hot springs. There is an amazing natural hot spring near our house. It’s gorgeous. Rumor has it it is hot enough to cook an egg. I’d like to find out! 4. Grow some garlic and leeks. I’ve never grown either and they are super expensive/horrible quality in the super market here. I think that they don’t sell them very quickly, so what is there is not very good! Mmm…leeks. Maybe some shallots too. 5. Fix my pressure canner and learn how to use it. I’ve always wanted to bottle my own beans, soup, meat, pumpkin, and beets! A pressure canner would really open up the possibilities in my fall food preserving. Homemade white chicken chili that is shelf stable…sign me up! 6. Find the perfect ranch – homemade or store bought. 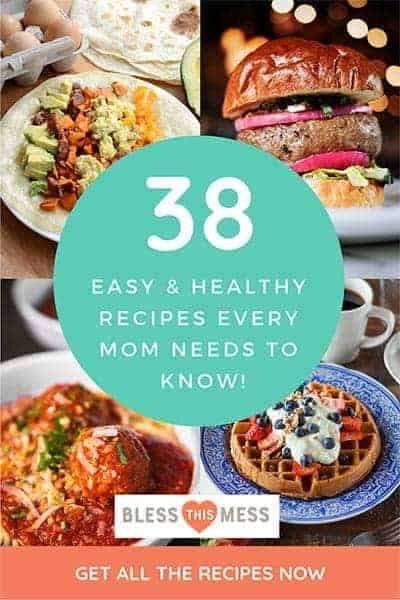 I’ve been looking for years and don’t love any recipe or brand that I’ve tried. Why is that when you think “ranch” you just want some Hidden Valley? I don’t do MSG which Hidden Valley Ranch has, so I’m on a quest to find a comparable ranch with no MSG. Any help is welcome! 7. Send my sister a super fun and unique package. She is serving a mission for our church in Argentina. I miss that girl and she needs to know it! I wonder what fun things a Sister in Argentina might need. She is pretty random, so I’ve been wanting to send something really odd. I just haven’t decided what it is yet. 8. Get better at morning prayers. I love to pray, but first thing in the morning it just doesn’t happen. Babies need breakfast and diaper changes, husbands need lunch fixed and kisses, and I need to go back to bed! Praying first thing in the morning 4 days a week will be much better than where I am now. Next year I’ll work on every day. Is that terrible? 9. Call and write my grandparents more. I do this well, but there is always room for more. I’m lucky to have three living grandmas and two living grandpas! They are all in Indiana still and keeping in touch via a blog or facebook just doesn’t work with them. Snail mail it is! 10. 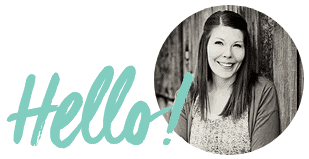 Get asked to do a “guest post” on a big time blog. I have no idea why, but being asked to contribute to someone else’s blog just seems fancy to me – I’ve always wanted to do it. My dream is that the Pioneer Woman will call me up to feature a recipe, but I won’t hold my breath! 11. Blog every day this year with truly great posts. I know I can do this. I’ve planned and thought on this blog for months. I have lots to put on here and can’t wait to get things built up! My family doesn’t mind all of the good food, fun crafts, and house-fixing either. They are #1 but it sure is fun to have a new hobby of my own, or least a place to showcase all of my other hobbies! 12. Grow my “readership” by 10! Ten times the readers is no small task, but let’s be honest…I have about 50 people a day look at the blog and my goal at the end of the year is to have 500 visits per day. Very reachable in my opinion. Oooh! Isn’t 2012 fun already? Thanks for reading. There would be no point in doing this without you. What are your resolutions for this year? Do you have a bucket list? What’s on it? I don’t do MSG either, I think I’m allergic (but also addicted). Uncle Dans or Simply Organic mixes don’t have MSG and they’re good alternatives. Not sure where you’re located, but there’s also Litehouse refrigerated ranch that doesn’t have MSG – it’s expensive but delicious. Check your county extension service… they often can check your gauge and tell you if your gasket needs replaced. Did you know there is an online course for food preservation by the University of Georgia? And it’s free! I love reading these type of posts this time of year but yours definently wins as best. I just love your energy toward life & adventure & all 12 of these just prove it!! You are inspiring!! Have you tried Wild Coyote? A lady from St George makes it & it is THE BEST ranch. Not sure on the no MSG thing though. I’d love it if it didn’t. And PS: thanks for being honest about your prayers. i think we are all there. 🙂 You just openly admitted it. byu ranch is soo good! (though really far away from you) I’m not sure if it has msg in it or not. if you get enough readers, do you think a food processor company would give you a discount when you buy one so that you can write about it? yay for posting everyday! i love your blog!